The armament industry in Spain does not stop at arms embargoes or international criticism of its clients. The Venezuelan crisis and the Saudi incursions in neighbouring Yemen, and the admitted slaughter of a disident journalist does not get in the way of business as usual. This may surprise some, in light of the fact that Spanish socialist governments tend to favour symbolic gestures, marking progressive agendas in contrast to the rather reactionary rightwing that they take turns with in power. Former prime minister Zapatero went so far as to withdraw the Spanish troops in Irak that his predecessor, Aznar, had deployed in spite of massive protesting amongst the Spaniards. August 17, 2018. Barcelona was commemorating the victims of the terrorist attack on the Ramblas a year earlier, but many other agendas were in play. Amongst them was an intensive antimonarchic campaign that highligthed the Spanish arms sales to Saudi Arabia. There is no arms embargo in place against the Golf princedom; but it may be argued that there should be. Sunni Saudi Arabia is involved in hostilities in Yemen; and its simultaneous aid to the starving yemenites cannot conceal the fact that the Saudi interest lies in positioning itself as the dominant Muslim power, in stark rivalry with Shia Iran. The radical left in Catalonia dominated the mourning Ramblas with slogans such as ”Felipe: he who wants peace does not traffick arms”. So is the Spanish King a private arms dealer? No. But he is the head of state, and Spain –like Sweden and other seemingly peaceful countries– has an armament industry that makes up an important part of the country’s GDP. And he did indeed receive the Saudi heir with all apparent signs of respect, as Publico.es reported last April. Spain soon fell silent after harshly condemning the assasination and dismembering of Khashoggi, a Saudi national whose life ended in the fall of 2018, when he entered a Saudi consulate in Turkey. The Golf power simply had to threaten to back out of the deal of five naval vessels to be produced in Southern Spain (a geographical fact that might add to the Catalanist fury). Five weeks after the murder on the journalist, Reuters reported that the deal had been signed. 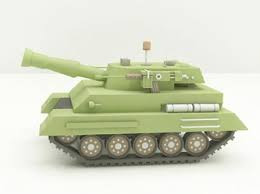 Likewise in Venezuela: the former Spanish sale of tanks is now followed up by the selling of necessary spare parts. This comes in the middle of an acute social crisis, and no-one doubts the willingness of the Maduro regime to use the military against its citizens. The Socialist government claims its predecessor is responsible for the contract, but Ibereconomia.es, amongst others, deny this. The Venezuelan opposition pleads with Sánchez to block it, reports Alnavio.com. The war and conflict play out far away, and the money is much needed in the Spanish economy. However, it is impossible for the Socialists to avoid being perceived as hypocrites if they keep up the arms sales to autocratic states.